I know more than several of us are acquainted here with the products from Herbie's Audio Lab, and I thought maybe a thread discussing them might be in order. I started using the "Halo" tube dampers way back when, and after that started buying the Tenderfoot and Iso-Cup products, as well as Grungebuster dots. For amps I find the Iso-Cup to be the best isolation feet to use. I have both the frosted clear and the earlier bases (which have "Db Neutralzer" on the bottom). I've not yet needed to buy any of the new version (black). I've found that with these older bases the "frosted acrylic" balls are very neutral, and I have experimented with and shifted to the Deep Moss gemstone balls as a nice tune for my system. I use the "High End Base" under each Iso-Cup. I have "Halos" of various sorts on all tubes except lately I've removed them from power tubes and prefer to have those free of dampening things. I used Isocups under my PS Audio Duo (each on four Iso-Cups) and my SACD player and DVR. I use Tenderfeet under my turntable, CSP2+ and phono preamp and my Power Plant Premier (the ones for heavier components). I used to use Little Fat Gliders under my speakers, but after reading a lot about "decoupling" speakers written by recording engineer Barry Diament, I decided to experiment along the lines of his preferences and now use Frosted Acrylic balls sitting inside a 2" automotive freeze plug between the carpet and the speaker bottom. I never have liked spikes under speakers and though the Little Fat Gliders have worked well, this set up, which allows the balls to move a bit, is both very tedious to set up properly (mostly because my speaker wires are not running along the carpet) and also give a very focused, nuanced and tonally appealing sound which really works for me. I have thinnish carpet, and a hardwood floor on a pier and beam house built in '32, not the most solid place on the planet! This has been a great discovery for me, the ball and freeze plug. Not at all expensive to try. I confess I really don't know why all of these work, but I find they do for me in my system, and whenever I've taken them out I find myself missing what they "do" and putting them back in. Steve Herbelin is a wonderful person to deal with, and you can always return these if they don't satisfy. I've never returned any. Anyone else want to talk about Steve Herbelin's products? I've always wondered how or why vibration control works. As there are 2 camps on this discussion, isolate and couple, who is right, both, neither, or some combination thereof? As I am always skeptical could someone please explain why I should isolate or couple my equipment. In some circumstances decoupling is best, others isolation. There's a lot of literature out there. I just tried it out, liked it, and as usual with me, went whole hog. My system is better for it. Your mileage may vary if you test drive that beast. I must say that vibration control is something I need to keep exploring...I have a few products from Herbie's and I've communicated with him through email a few times before my eventual purchase and he is excellent with communication and getting right back to you with your questions. I've tried them all in a multitude of ways...moving them around etc. I really didn't have much time to play with them when I got them all because I got busy with work, but I've had them all for a while now and I can't say that I ever noticed any changes. I mean, maybe if I strained I would have noticed something, but I was looking for something more easily noticeable...maybe I just don't need the stuff at all...of maybe my system isn't revealing enough. But my system is like, 75% Decware so that shouldn't be the issue...maybe I need to be using a power conditioner of some sort so that I'm getting better power to my components and thus will make them more revealing to any changes upstream........maybe this all makes no sense and I'm just making excuses haha! But I will hold on to the Herbies items and continue to experiment with them once I get some of my main components back from repair/"inspection". Again, he's a real nice dude and I dig his website and all the info he has for folks to digest. Vibration control makes sense to me in theory, and I hope that I will notice it's effects on my system at some point. His products are prices great in comparison to some of his competitors, so even if it never does anything for MY system, I won't feel jipped. I could always sell some of it at some point I guess...I do remain curious about his tube dampers, but until I've settles down on some tube configurations that work best for me, I don't wanna take it there yet because they are to be used with specific sized tubes...of which he has MANY sizes to suit practically any tube you have. Interesting. The blacker background I got from power treatment. The biggest differences I get with the Herbie products I'd say are dynamic contrasts and level of detail (mostly instrumental separation) and a refinement of tonal qualities. Soundstage depth to seems to be a bit improved. My components are on racks that do some isolating and I also use maple platforms under components, and put grungebuster dots under these and I feel that makes a difference. The Sonic Stabilizers I'm not sure make much of a difference to be honest. I'd recommend putting some small grungebuster dots under the corners of the Trapeziums, that may help eliminate the vibrational transfer to the desktop and help the Iso-Cups' effects be clearer? I might be imagining all the differences I hear, but I enjoy the fruits of my imagination if I do. Thanks for the suggestion about the Trap's but it's a no go with this particular unique speaker. It relies on being on a completely flat surface to create it's port for the bass...there is a little space on either side of them at the bottom that you can feel air from the bass pushing through. Once you lift the speaker you loose that effect....the gift and the curse??? haha! Well, Grungebuster dots would just lift the Traps a fraction of an inch off the tabletop, and couple it to the top, I really doubt if that would influence the bass output significantly, audibly. I could be wrong, but I've used them with tabletop speakers when I was in Houston for months for my late wife's cancer treatment and didn't notice any diminution of bass output. I've never done any serious listening with a desktop system so can't really offer any further suggestions. I'm surprised, from my experience elsewhere, that there's little or no effect from Herbie's products on your system, but there you go. I am fairly certain I get a lot of result due to my very house itself, it's old and creaky and resonant, perched on "pier and beam" and not solidly rooted on the ground. One day I'll probably have the system in another home and will be able to compare. Good deal on the free in home demo! I think you may have answered your own question HPDJ.. The cleanness they give you is real. compensate the drop in the noise you didn`t know you had. Then you should notice the benefits of the vibration products. Here is an interesting article about what we are talking about. Maybe a different way of doing so than using Herbie's Audio Lab products. We’re in the middle of our mini series on power and vibration control for our hi fi systems. Yesterday I explained that vibrations, caused by the loudspeakers in our listening rooms, were inevitable and instead of focusing on minimizing or eliminating them we would be better served to treat them like we would room reflections. When you play speakers in the room you get reflections off the room walls. You can try and absorb and minimize those reflections or you can scatter and diffuse them instead. Over the years we’ve learned that diffusing them is a much more effective tack than absorbing and this is because when the reflections are diffused, our ear/brain mechanism will interpret them as random unrelated noise and easily ignore their contributions. If we use the same technique on vibration and microphonic control we get the same results – that of the ear/brain ignoring their contributions. Diffusing is far better than reducing and here’s why. If you try and damp out the vibrations occurring in your room you will be only partially successful – because you simply cannot eliminate them all. Whatever is left is still a focused and related ghost image riding on your music and, although reduced, it will still be perceived as distortion and smearing in your listening environment. Cones and spikes under equipment, for example, reduce microphonic effects but don’t diffuse it – in fact they probably make it worse and here’s why. Cones and spikes work by reducing the contact area between the equipment and the vibrating surfaces. They are, by their very nature, extremely rigid and transmit specific frequencies to the equipment – thus further focusing the unwanted energy. Several manufacturers have used varying hardness materials within a cone to help this issue, but in the end their purpose is to reduce contact area and thus reduce surface-borne vibrations. The second problem they have is that they do not address airborne vibrations. In fact, at least half of the microphonics issue comes from the airborne vibrations and, unless your equipment is in an acoustically shielded environment, there’s little any of these isolation bases and cones and feet can do to help. They are valuable under the speakers but I would recommend not using them under the electronics. So the best answer is, again, diffusion and masking rather than absorption, isolation and futile attempts at vibration reduction. Tomorrow I’ll show you how this works. Please help me spread these ideas by clicking here to post a comment. You can also help me engage more readers by clicking here to share. I would appreciate the support. 1,961 people are currently subscribed to Paul's Posts. Click here if you'd like to subscribe. In my room in AZ, I set up my Torii in the office that was separated from the listening room by two closets back to back. It was hooked up to the speaker in the listening room. With my office system playing the music, and the speakers pointed at the Torii as if it was in the listening position one meter away, I was able to hear what the air born vibrations from a set of speakers can impale on the amp and tubes. An eye opener for sure!!! So much so, that while not perfect, I placed the amp/system in the closet. In my room here in NC, I have used more diffusion than I had in AZ, I've just never found a way to see if it is better with the added diffusion, or if the system would be better out of room. Besides, who doesn't like see the tubes glowing while listening to music. Interesting Bob, thanks for sharing. Steve Herbelin has really researched vibration control and his products are more sophisticated than just cones and I think he's addressed some of the issues that the authors of this piece have encountered, and his products can accomplish both isolation and decoupling and I too have compared untreated and treated amps with loud speaker airborne sound and the contrast is large enough that I pursue the Herbie's Audio Lab pathway, along with the isolation that my audio racks bring. I imagine that putting the equipment into a closet or another room would be one way to go and should yield big benefits. Won't work logistically for my listening world without insanely long cabling, which has its own issues and with the type of cabling I favor a big expense! There's always more than one way to skin a cat supposedly, I'm committed monetarily and systematically to this direction of vibration control and enjoying the results. BUT!!! If you also add diffusion to the room, not only do you have the benefit that Paul speaks of, you are also gaining room treatment which stop early reflection that your ears hear as well as what the tubes are getting. In the end, doing both (Herbie's and diffusion) would double the benefit. Here is a link to the rest of Paul's morning blog. Yeah, just not able to do diffusion panels in my room. Wish I could but. . . just can't squeeze it in. Isn't that what Bob was addressing with the article he posted, and its theme of "diffusion" of vibrations? I believe that Herbie's Audio Lab "Sonic Stabilizers" are designed to play a hand in coping with some vibrations of component top and chassis. Other companies have similar "bricks," "stones," etc. I'm not convinced these are really effective, but I have some in use (Herbie's) and believe they may contribute subtly. Let me just say up-front that I do not have any experience with vibration control, except for spikes in floorstanding speakers I used to own back in the day, and at the time I could feel the difference when I had to remove those spikes temporarily, for some logistical reasons. But, from the physics I studied back in the university, I would assume that trying to contain those vibrations (by limiting their natural discharge), is also bad for the sound, as these stay inside the body of the vibration source and accumulate to saturation. Limiting the natural release of vibration going to the floor or airborne, makes it stay in the component and ruin the vibration equilibrium achieved by the component's designer surrounding the signal (in electronic components) or the analog pathway (in speakers). Now, sound is all about vibrations. If it wasn't for it, we could not hear anything. Of course, we would want to segregate the dissonant vibrations (or those mis-aligned with the music) from the actual original music source, but I find it difficult to achieve as end users. I think that all vibrations coming out of audio equipment (electronics, tubes and drivers) are to be harnessed and/or channeled by design, so that those vibrations do not damage the final sound arriving to the listener. It is not something you need the end user to take care of, nor is it really feasible. This is completely different to aiming at diffussing the sound vibration (sound waves) hitting the walls, furniture and floor, in our listening room. It is compulsory for us listeners to take care of this, as it usually stems from improper reflection pattern geometries cancelling or duplicating the original intended stereo sound distribution sequence arriving at our ears over time. Before trying to isolate an audio component from its own emmitting vibrations, we need to take good care of the diffusion of that emmitted sound by room conditioning techniques. Otherwise, I feel that we may be making the problem worse, adding cumulative vibrations (saturation) to the circuit boards, topology, chassis, driver oscilllation planes and speaker walls baffles, and resonance structures, for example. This would also not correct the diffusion problems of a bad reflection pattern in the room. Physics also tells us that once those contained leves of un-released vibrations (kinetic energy) arrive at saturation inside the component, they start to go airborne again, not solving the original problem and damaging the equilibrium in the emmitting components. Not to mention the intrinsic life-span shortening of many of the components affected by this saturation wave. I'm probably all wrong here, but this is what my reasoning takes me, intuitively. I would just like to learn how to improve my beginner's conception on the matter, and be corrected where I'm wrong. I recognize I still don't have an answer for the better results obtained by using spikes in the past. Thanks, and please don't flame me if my views tend to be against the accepted thoughts on this issue! Actually, from my understanding, these isolation and decoupling pieces don't limit the release of the vibration but facilitate the removal of the vibration from the component. It would be great if components were designed to have vibrations drained from them. I doubt many are at all. Yes Marky, a decent power conditioner is in the cards for me..I have nothing to loose with a free in home demo. Here's the thoughts of a recording engineer whose work I admire and who has given this idea a lot of thought, and his implementation. I've used a similar type of roller-cup footer under my loudspeakers to better effect than any cone, etc. Thanks for that link. It made me understand that the vibration you want to isolate from the components come from the sound waves themselves, hitting floor and walls in the room and returning to the components. The inner tube is a wonderfull idea, as it is a relatively large volume of air that can expand and contract freely through the rubber walls of the inner tube, therefore neutralizing the mini-sismic vibrations until these vanish by heating up the air inside the tube. This also explains the spikes or the little feet on balls inside resin-filled cups, as the contact area is so small (and with a high absorption resin to further mitigate vibrations in the Iso-Cup case), presumably the vibration won't be able to get inside the component. The author of your link won't buy the last two solutions, assuming the resin and spikes are still too rigid (lacking sismic resonance) to avoid the vibrations to be transmitted through them. I guess Herbie's reply to that would be based on the properties of that super absorbing resin and the small footprint. This is an interesting topic, I wish I could replicate the ideas on your link. "Only when there is clean AC and proper cable routing has been attended to will the benefits of vibration isolation be evident".......just as I suspected haha..
Oh and also, funny how the author's home brewed isolation device sounds a lot like the iso cups that Hebie's offers...sounds like a fun project but I'm not much of a DIY'er really. I was impressed that I was able to change the power outlet in my room! The things we do to increase our listening enjoyment huh? I DID try an aftermarket power cord a few months ago from a new company that was getting some great write ups and they had a different approach to their cables etc etc...it was a loan from a dealer and I tried it on each of my components and noticed no difference. My girlfriend even listened and heard nothing. She didn't even know what I was changing every time I told her to close her eyes as I switched the PC from one thing to the next and also tried taking it out of the mix completely. And I have a good aftermarket outlet and a great power strip from VH Audio.....maybe I won't notice the difference until ALL my gear has a better PC than the stock one....I'll report back for sure. "sand boxes" I'd tried, And Helen liked the looks. I've had a bit of dialog via another forum with Diament and he's an interesting person. I do think there's some truth to the fact that having addressed the power situation will allow you to have a clarity that will allow you to hear the benefits of these isolation/coupling or decoupling devices. The "roller" feet that Diament makes are not really like Iso-Cups. He told me on another forum that because the Iso-Cup ball doesn't move and the cup allows no travel he doesn't agree that it's the same method that he's had so much success with. Though he hadn't heard the Iso-Cup he didn't think it would sound the same. The roller feet that I have come up with under my speakers (though not quite like Diaments, similar to his, they don't have a wooden base as that would raise the tweeter level too high for my seating) are different than the Iso-Cups, and the sound is a bit different, possibly mostly because of the tweeter height difference. I know that Lon had touched on another part of this complex equasion. The effect of the stand or table or whatever your equipment is sitting on. My Torii is sitting on a 4" thick Maple shelf on top of Mahogany legs. I would think that the mass of the hunk of wood would help damp out a lot of unwanted vibration. My subwoofer also sits on a 6" thick hunk of Maple, maybe helping absorb some vibrations from being transfered into the floor? I'm toying with the idea of using some carbide cutting inserts to try coupling my DAC with the desk below. Carbide has a lot of mass, if that doesn't work I will try decoupling it with bouncy balls from the buck store. Onward and upward! I went for a diffusion solution and have a 7 1/2 ft x 6ft cross hatched accoustic foam pannels behind me and 4 4 1/2 x 1 1/2 ft pannels along the side walls with 2 bass dumpers in the corners behind the speakers. Not pretty, one day I`ll cover them with a very thin material that sound will pass through. It`s not the front room at least. As there would be no furniture etc in the room apart from the seating I went for it. I did that after reading about accoustically dead rooms, and trying to stop pathways for sound to bounce around to go where it wants to, rehitting your ears milliseconds after the initial sound. If you want reverberation it should be on the recording. are supposed to be very good. one bump ) bump and return to original state very slowly, so as to absorb and not resonate. the more area they have to soak up and release vibrations leaving equipment stable. Donnie, yes I really love wood and I have components on 2" or 4" maple platforms on 2" maple shelves on my main rack and thinner cedar or maple stands on my TV and phono stands. A good start to good sound. Marky, I envy being able to use diffuser panels and make a really controlled audio environment that way. Sorbothane is commonly used, though Steve Herbelin mentions often that he has found it to not be sonically neutral and doesn't recommend its use. It's been so long since I had any around I haven't been able to do any comparisons. There are so many ways to deal, or not deal, with this situation. Thanks for weighing in. Cheaper than Symposium and get good feedback. Yes, I think the Iso-Cups work wonders on the Torii. Thanks for posting that link, those look very interesting. Interestingly, PS Audio is working on a new product (about to go out to "beta testers") that is an isolation base for up to two components (45 pounds total weight) and also a power conditioning unit with two outlets. So you can put components on top, plug them in and enjoy clean power and benefits from vibration control. Should be a cool item. No more details yet. Curious to know peoples opinion on audio furniture companies that people have had good luck with. 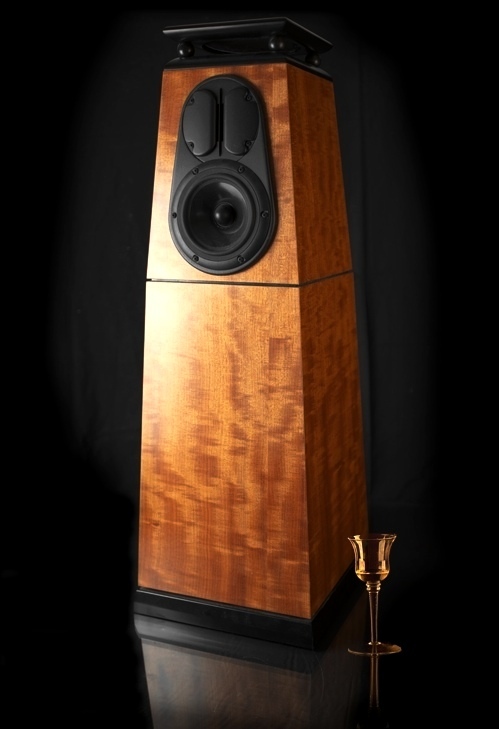 Currently have my torii III on a core audio black maple amp stand and love it. Their racks are pretty pricey though. I've looked at steve blinn's designs and others but wasn't sure if someone else is making similar products at a lower price point. WHat are you guys using? Solid maple, inexpensive, decent workmanship. My main audio rack is a Mapleshade Samson rack. Pricey, but exactly what I wanted and I love it very much; have had it a number of years now and can't imagine being without it. If I didn't have this I would probably have the Decware stand. These things are always more money than you want to pay, but worth it imo. Mark, I've had some experience toying around with adding weight to a component top, mostly Mapleshade brass feet and Herbie's Audio Lab Sonic Stabilizers. There's a very thin line between improved sound and deadened sound is my experience, and I settled on the Sonic Stabilizers as not being overkill, and giving possibly a subtle difference. I've used this latter recently. I have my turntable on a extremely strong maple end table that has two shelves. On the top shelf I have my Rega RP3 on top of a 4" maple platform. On the middle shelf I have my DVR on top of a 3" maple platform, and these two platforms add a lot of weight. On the bottom shelf for a spell I just had the TTPSU power supply for my RP3, a tiny little thing that I had sitting on a 1.5" mytlewood stand I bought from ebay. Later I added a defunct PS Audio P300 Power Plant that had been in the closet for years. Not only did the added mass make a difference, imo, to the sound but I also had a great place to ground my phono preamp and CSP2+ to. I was surprised at the benefit. I find that mass, like isolation is variable and suspect in has to do with many things, not least of which, the level of vibration, the component design, the mass composition and surface relationship to the component...and whether it compliments the voicing. But generally, I think both can be good. I use a 2lb rock on my Mac Mini, and with carbon feet, I definitely get a better sense of solidity and body. I have some of Herbie's Sonic Stabilizers on my DAC and remember liking this effect with a similar feeling. I like Herbie's stuff in general. But I had vibration problems using a cabinet in an alcove behind my speakers to put gear in...I had resonance damping on shelves, cab walls and between shelves, hard fiberboard in it to chill/absorb the vibrations, and several bass traps and other absorption stuff built into the alcove, but Herbie's stuff improved things. I don't know why, but I can hear everything, including location changes with the Iso-Cups under the Torii MkIII. HDJP that you (and your wife) can't hear the isolation when your amp is on the same surface as speakers, and can't hear a better cord, is definately worth lookiing into. I think you must have a bottle neck somewhere that is truncating your sound. May be speaker cables or ICs, your computer, or cables to the DAC. Are you using good software in your computer to cut off extraneous operations and as a player? Are you using a USB cable that isolates computer noise? Solving the problem (s), and being able to hear these things will make your music way better...the potential magic of Decware. I have four of the older "high end" bases for the Iso-Cups, frosted silicone cup, and lampblack balls. I have tried the frosted Acrylic balls and find they sound good, but a little "plastic" and slightly unbalanced to me...leaner mids up, and a bit full in the bass. I keep trying, but end up finding the lampblack balls best for me...richer, balanced, and natural sounding. Location definitely matters though, and this could explain my not preferring the frosted balls to some degree. Who knows if I would like them in other locations, but I like the lampblacks where they are...under the center power tubes, and near the outside/back corners of the outside transformers. I have used a couple sorbithane based feet, and they sound like they feel...sort of rubbery and veiled. I can't say why, but to my ear, there is no question at all that different feet sound different. I have four or five kinds and they all impart characteristic sounds. But back to Herbie's...I use thick grungebuster cut from a sheet for cabinet shelf isolation, and to keep cables from the cabinet structure. I use Fat Dots under the cabinet (here the difference was sort of subtle, but I had done a lot of isolation already... I did however keep them), and Little Fat gliders under HR-1s. At first I did not like these, sounding a little too smooth and warm, but more inner detail was there too...HMMMM..... if I recall correctly, later I realized the spikes sound a bit too hard and bright for me once I adjusted to the isolation, the gliders being more complete and less edgy (my floor is brick on sand, so the spikes were active with this mass). Same sort of thing happened with RX tube dampers for me...first too "warm" and smooth, then I realized the bright edges were probably distortions....finally I got to really liking the subtle information that was under this. I use them on the inputs, rectifiers and power tubes, though like Lon, the power tubes have often left me on the fence....the undamped tubes seem a bit more textural, softer, and give more impression of brightness. Damped there is more solid/inner information, but it can get a little bit defined and a little too smooth/warm. I find that my current preference is in between for the power tubes...I damp them, but have the damper about half way down the glass. The most damping is roughly right on the top mica, so this sort of splits the difference between damping and not by my ear. Finally, I think this stuff can be a matter of degrees...if the gear is isolated well, then tubedampers become less of a thing, but I like them. I tend not to prefer tenderfeet (they generally sound a little soft and warm to me...), I use the ones I have for my hard drive, and under my EQVOX USB power brick, though I do like them under my ZDAC...I use hardwood cones that come to a fine point under my Tranquility, but it is on top of the ZDAC, so the tenderfeet are isolating what the Tranquility is on. I think the main thing between decoupling and isolating is they sound quite different, and presumably, to truly couple, It seems you need serious mass, and the mass is going to pull off certain frequencies. So I find isolation a little easier and like it...but I also use some half baked combinations and like it on some parts....Finally seems it must be a matter of the sound we like best. will, thanks for weighing in. It's amazing how the locations of the Iso-Cups influences the sound from the Torii, and the different balls as well. I had all Lampblack balls for a while, but when I moved the the AC-12 power cords on the Torii and PS Audio front ends (digital and analog) and the CSP2+ I found they were too alive for me and too bright, and I went to the Acrylic, and finally settled on the Green Moss Quartz. The Acrylic are perfect under my speakers though, where the Lambplack were brightening and thinning the sound. Like tube rolling these products are almost like a "set." The rack, whether there are platforms, etc. all are factors. This can draw one in the way that tube-rolling can. This can be a very rewarding hobby, as well as a sometimes frustrating one. Winding up a night of DVR and DVD watching with a friend with some Monday Michiru, everything sounds so good. I agree Lon. For tuning a system to the exemplary, and to suit our personal tastes, these are very real tools. Lon posted a link earlier in the thread to an article on vibration isolation etc and at the end the author notes that he only had one instance where he heard no changes to the sound of a system when he used vibration controlling mesures....that particular system did not have clean power feeding the components and the cables were all tangled up or something....I'm definitely guilty of the former so I have to experiment with that and report back. Interesting thought about the power...Mine was pretty good to start with I guess, as I have always had very revealing sound. But everything I have added to improve the electronic environment, from direct power conditioning, to room devices like schumann resonators and other magnetic field "cleaners", to little boxes of crystal "semiconductors" (that draw off line noise at outlets and cable ends, to good cable configurations, it all increased resolution and revelation enough to keep whatever the device at the time I was checking out beyond the trial period for me. And as to what this thread is all about....vibration control's reason for being is vibration effects on electronic parts! I wonder about tubes too...are you using stock MT tubes...you can very likely increase inner detail with tubes without sacrifice...perhaps just the inputs. I have a lot of flexibility in this setup for fine tuning and I really like this. My original setup had all of the above other than the EQVOX, and it was great then too. The USB power thing bypasses computer USB power, and therefore noise. At first I did not like it...too much inner detail (in serious listening mode), but after adjusting to this voicing change, my system is more revealing, more flexible with tube and cable choices, and more musical. Very, very good to me. So much so that I am re-amazed every day. I got an "open box" (much cheaper and broken in) and Eric Hider is an amazing and very accommodating resource which really helped me get the system optimized. That said, if there are burned in units around, and your card can take it....why not check out both DACS when you get around to it....and really, I can't say from experience that I know a bunch of DACs...I read a lot before buying, and trusted the perspectives of most of what I read, and then got to know Eric Hider and was fully in agreement with his exploratory process, so I went for it. But this thing is leaps and bounds above my pretty seriously modded Oppo-83 and a Rega Apollo (comparatively they sound distant and like the sound is well made rather than well played!!!! ), and all in all, I like the Tranquility notably better than the ZDAC. Also, I have always had a Mini, so can't speak from comparative experience there except that I believed the folks I talked with who had played the computer field, that the Mac Mini is a very musical and reliable server. Whatever... I love my front end. The final thing is, does it sound real.... and I believe it sounds very real. If you search this forum for Tranquility, you will find more of my thoughts on the DAC and setup. I might feel the same about many other DACs I suppose, but as I researched what is now an earlier version than mine (mine having an improved output stage from the original that improved an already great sound) the comparisons to the popular DACs of that time....made the Tranquility the one to check out for me. And thank goodness for trial periods with these innovative small companies. Got in the mail yesterday Halo tube dampers for my ZP3. Come on down ZP3! I'm hoping my ZP3 hits the bench very soon. I just ordered the RollerBlock Isolation components for my Dac and also two sets of four, for my speakers. Mike is going to machine them with a 1/4-20 threaded hole dead centre on the back of the upper cup. That why I can mount the upper cup to the speaker for more stability. I will report back on how they work. His custom racks look really nice too. Interesting. Hope you don't have to wait long! other than what they cost. Although in reference to the price, Steve H. the owner/designer of Herbie's, told me he makes little money on these compared to his other models of tube dampers. Considering getting a few for my ZP3, also. No Mike, I haven't tried those out yet. Maybe when I'm more flush. I went with the UltraSonic RX. Used those on all my input tubes before. And, just got notice that my ZP3 has gone into "Parts Pulled" status! Lol, I`m on the pre list. as well... I could be fighting a loser. I was looking at the isoblocks on the mapleshades site. Well, they're worth a shot. I used to use them under the maple platforms that sit on my rack. Steve Herbelin mentioned that others are suing Grungebuster dots under the platforms in place of the IsoBlocks and I tried that and. . .well I'm not sure it was a big difference, but I left the dots under the platforms. May be a good thing under the speakers. In my case I think they would raise the speakers too high, effecting the ear/tweeter height ratio, which makes a difference to me that I don't want to hear.